If you are a Member, simply login now to access these amazing specials - click here. If you are not a Member as yet, simply click here to join as a Member. Professionalize your business. Purchase any custom domain name for your business (.co.za or .com) and get 50% off any monthly hosting package. 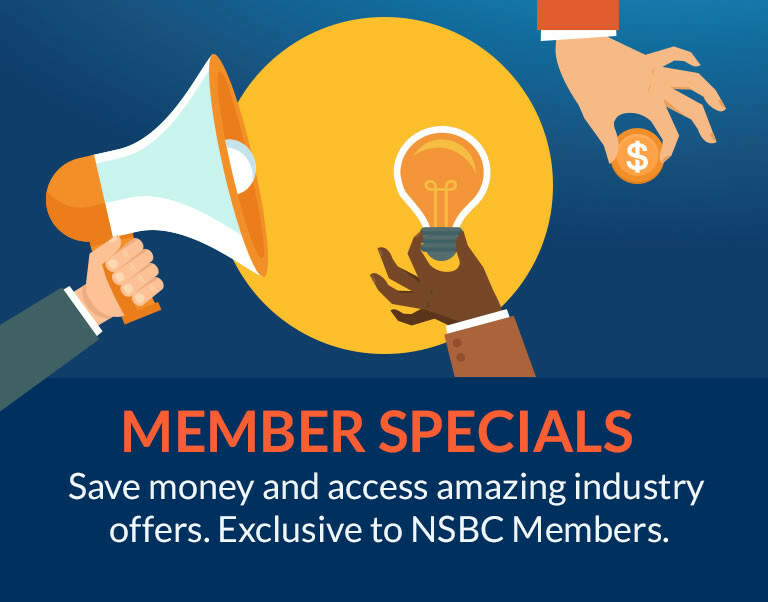 NSBC Members save up to 10% on Ctrack. Reliable vehicle tracking with stolen vehicle response services. As a member, you will save between R20,000.00 - R80,000.00 when buying a new Mercedes Benz. T's & C's Apply. The Small Business Site and My Business Mag will get you connected with so many decision makers actively looking to do business with the SME sector. Seize this exclusive member discount offer and enjoy big results. Grow your business with one of Google's FREE services - Google My Business. Create business profile today. Gain the skills you need to succeed with courses in Business Taxation, CIPC Compliance, Basic Bookkeeping, e-Filing Compliance plus much more. Get the right people to the right vacancies at a fraction of the cost with these special offers from PNET. See Liquid Telecom's special Office 365 with Broadband Fibre for better business through collaboration. Exhibit your business, build your customer base and boost sales quickly and cost effectively. As a Member, you will save R1000s on your exhibition package. Rocketseed Mail enables you to make every email you send inside and out of your business count, by allowing you to insert targeted marketing messages, and other media into every email you send. Access properly drafted agreements, legal documents and receive sound legal guidance, at a minimal annual subscription. Weary of backing up to the cloud? Kick-start your journey with a FREE migration offer from Microsoft. Take advantage of this incredible special offer today. While Stocks Last.